A compelling second round match between Serbian No. 1 Jelena Jankovic and American youngster Sloane Stephens is scheduled to take place on Wednesday afternoon in Montreal. This is just the second time they cross paths on the professional tour, with their last meeting taking place in the third round in Cincinnati. Jankovic leads the head-to-head series 1-0. The world No. 9 has been out of action since a first round loss at the Wimbledon Championships to Kaia Kanepi. She is on a three match losing streak that dates back to the fourth round of the third round of the French Open when she beat Sorana Cirstea. It will be interesting to see if she is a greater force once again on hard courts after an abysmal run on grass. 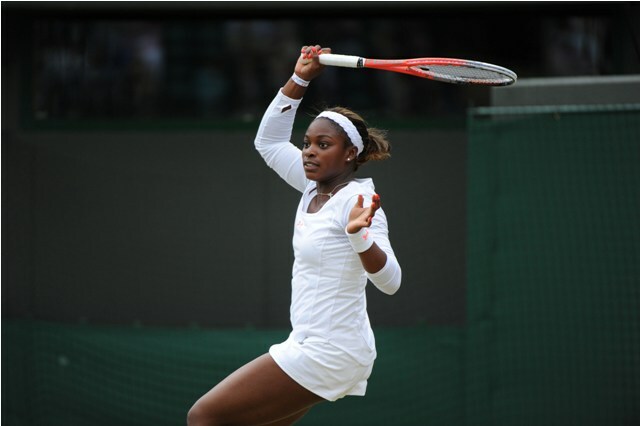 After losing her first hard court match following the Wimbledon Championships in Washington to Christina McHale, Sloane Stephens rebounded by knocking out hometown favourite Aleksandra Wozniak 6-3, 6-0 in 61 minutes. The world No. 20 hit 5 aces, won 74% of her first service points and saved all three of the break points she faced on serve. This is just the second time that Stephens and Jankovic will cross paths on the professional tour. While the Serb holds the lead in the series, it was a tight three-set encounter. That is unlikely to be the case this time around as Stephens had plateaued since arriving in the Top 20 in the rankings. There are simply no signs showing that she will edge Jankovic this time around. Then again, Jankovic is yet to play her first hard court match in over four months, which may level out the match slightly.